Welcome to the August 2016 members’ roundup. Throughout the month of August, CIMSEC members examined several international maritime security issues, including an increasingly contentious undersea environment in the Asia-Pacific, monitoring and enforcing laws relating to maritime crime, the importance of the Littoral Combat Ship (LCS) to the future mine countermeasure capability of the U.S. Navy, the upgrades being made to the Philippine Coast Guard with the assistance from Japan, and finally, Vietnam’s decision to deploy mobile rocket launchers to islands in the South China Sea. Lauren Dickey, John Schaus, and Andrew Metrick, at War on The Rocks, provide an overview of submarine forces and dynamics shaping undersea competition in the Asia-Pacific. 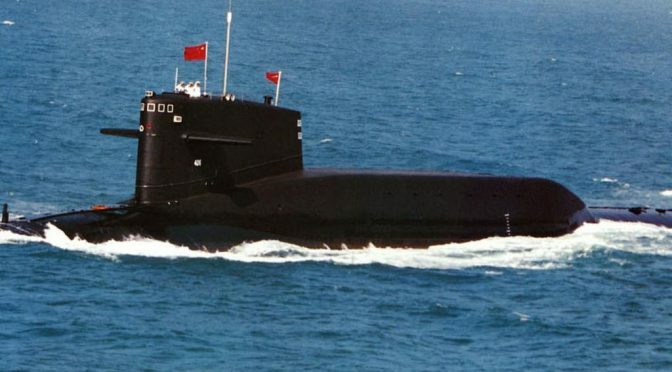 Although Russia’s undersea capabilities in the Atlantic have historically been the primary challenge to U.S. technological primacy in the subsurface domain, the authors explain how Chinese, North Korean .and ten other Asian nations are not only increasing their proportion of active submarines in the Pacific, but are also significantly increasing investment in advanced capabilities. According to the authors, the growth of submarine fleets throughout the region combined with technologies that can limit U.S. operational effectiveness in the domain implies that regional states are hedging against a more competitive future security environment. John Grady, for U.S. Naval Institute News, discusses the importance of awareness in the maritime domain and on land concerning the enforcement of laws pertaining to fisheries, the environment and crime on the oceans and in coastal waters. He references comments on the issue from fellow CIMSEC members Jerry Hendrix, Scott Cheney-Peters, and Claude Berube, who explain that non-governmental organizations, comprehensive security and monitoring networks, and enforcement practices from ports to blue ocean regions is critical for ending illegal fishing and other criminal activities. Rick Berger and Mackenzie Eaglen, at War on The Rocks, provide analysis on the aircraft carrier shortage in the U.S. Navy and the implications this is having for U.S. presence in certain hot spot regions. The authors argue that politicians are not working creatively enough to get additional carriers into the fleet quickly, which is a vital first step towards addressing the current carrier presence gap. Their analysis focuses on how Congress and Pentagon civilian leadership jointly and cooperatively changed the process with which the Navy tests, procures and fields aircraft carriers, ultimately resulting in the current shortage. The authors recommend that Congress and the Pentagon should allow the Navy to field CVN-78 Ford by 2019, noting that the risk in pushing back full-ship shock trials to a later date does not outweigh the benefit of solving an immediate problem of too few carriers for too many missions. Steven Wills, for U.S. 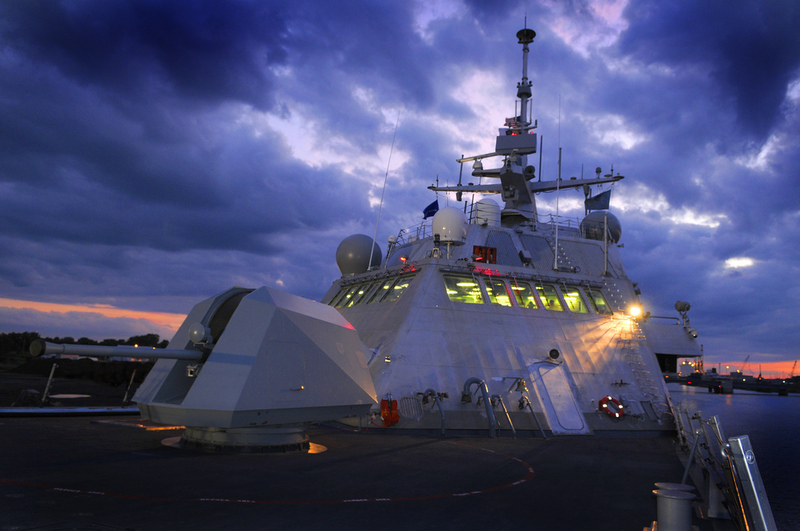 Naval Institute News, discusses the need for expanded congressional support for the Littoral Combat Ship (LCS), highlighting the ships potential to become the most advanced platform with an effective and advanced mine warfare capability in the fleet. He explains that the U.S. Navy’s aging Avenger-class mine countermeasure ships are in need of replacement and that the LCS mine warfare mission module represents the most suitable option already within the acquisition system capable of rapidly improving the fleets mine countermeasure capacity. He recommends that Congress support and fund the LCS mine warfare module program as outlined by the Navy in the FY17 budget. Dave Majumdar, for The National Interest, highlights the U.S. Navy’s decision to prioritize the improvement of its anti-submarine warfare (ASW) capabilities, noting the reemergence of Russian undersea capabilities and the continued growth of the Chinese submarine fleet as the principal reasons for doing so. Referencing an interview with U.S. Navy’s Chief of Naval Operations Admiral John Richardson, he explains that the future fleet’s ASW operations will combine air, sea, and undersea forces, emphasizing the need to ensure that the Navy’s attack submarine (SSN) force remains dominant in the subsurface environment. He also notes that although the Navy currently has about fifty-two attack submarines in its fleet against a requirement for forty-eight boats, the SSN force is set to shrink to forty-one by 2029, implying strategic advantage against adversaries in the North Atlantic and the Pacific is not possible without significant procurement adjustments. Kyle Mizokami, for Popular Mechanics, reviews the debate centered on the future of the U.S. Navy’s aircraft carrier and the different factors influencing the discussion, including the massive financial investment the U.S. has already put into its next generation of flattops and the increasingly dangerous and real threat anti-access/ area denial strategies will pose to carrier operations in the conflicts of tomorrow. Although U.S. reliance on the aircraft carrier as the country’s primary tool of power projection is a notion that continues to draw contention in security and political circles, he notes that technological advancements in unmanned aerial vehicles, longer-ranged planes, or even altering the size and price tag of the carriers themselves may adapt the platform enough to make them useful for decades to come. Sam LaGrone, for U.S. Naval Institute News, provides an overview of the harassment of the guided-missile destroyer USS Nitze (DDG-94) by four Iranian patrol boats in the Persian Gulf. He also discusses components and recent actions by the Iranian Revolutionary Guard Corps Navy, in addition to briefly explaining how they differ from the regular Iranian Naval force. In a second article at USNI News, he discusses India’s decision to purchase three frigates from Moscow originally intended for Russian Navy’s Black Sea Fleet. Paul Pryce, for The NATO Association of Canada, discusses the challenges Canada faces with regards to patrolling distant waterways in the Arctic. He explains that the Royal Canadian Navy (RCN) is attempting to modernize and expand their capabilities to address this security issue, emphasizing the role advanced radars and long-range drones will play in reducing the burden of the manned fleet. Harry Kazianis, for The National Interest, discusses Vietnam’s recent move in the South China Sea to fortify its islands with mobile rocket launchers capable of striking nearby Chinese islands where runways and military installations are based. He explains that this move is a pushback by Hanoi after overlapping territorial claims with the People’s Republic of China have resulted in heightened tensions. Robert Farley, for The Diplomat, provides a unique perspective on military power by analyzing the change in Japanese aircraft carrier superiority in 1942 to their inferiority to U.S. carrier forces by 1944. He notes that military balances can alter quickly and that these lessons should not be ignored when studying future strategic dynamics in the Western Pacific. Charles Hill, for his Coast Guard Blog, provides an overview of the recent upgrades to the Philippine Coast Guard and the shipbuilding assistance Manila is receiving from Japan. 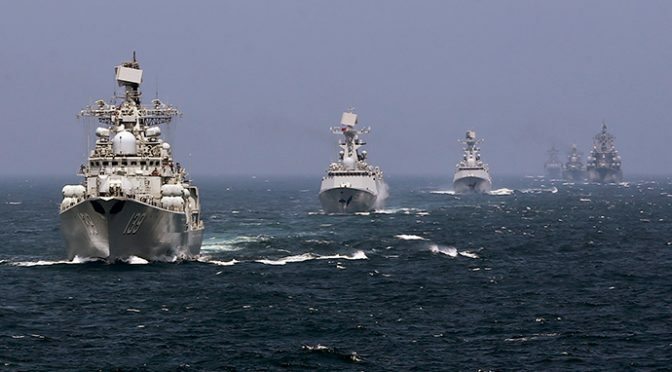 Ankit Panda, for The Diplomat, discusses China’s People’s Liberation Army Navy (PLAN) maritime confrontation drill in the Sea of Japan, which included a drill simulating an engagement between two Chinese naval task forces. He also explains the larger strategic implications such an exercise indicates to regional powers concerning Chinese maritime ambitions. At CIMSEC we encourage members to continue writing either here on CIMSEC or through other means. You can assist us by emailing your works to dmp@cimsec.org. Welcome to Part Two of the July 2016 members’ roundup. Throughout the second part of July, CIMSEC members examined several international maritime security issues including joint Russian and Chinese military exercises in the South China Sea, the Royal Canadian Air Force’s procurement options for a new search-and-rescue aircraft, the relationship between free trade and security dynamics in the South China Sea, Russia’s offer to fulfill India’s tender for a multirole nuclear aircraft carrier, and Germany’s evolving military and strategic priorities. Read Part One here. Kyle Mizokami, for Popular Mechanics, reviews the U.S. Navy’s failed Harpoon anti-ship missile test during a sinking drill at the RIMPAC 2016 multinational naval exercises. 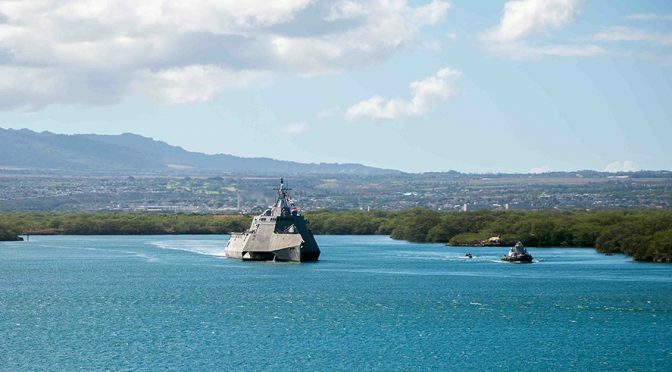 During the sinking operation, the littoral combat ship USS Coronado launched a Harpoon 1C missile at the retired frigate USS Crommelin, which was 20 miles away. He explains that that the Navy is investigating why the missile was lost from radar contact and never impacted the target ship. The missile exercise reflects the Navy’s continued testing of various missile systems in an attempt to update and improve the fleets’ surface-to-surface warfare capability. He notes that the Navy will likely adopt the Long Range Anti-Ship Missile (LRASM), Norwegian Naval Strike Missile or the Harpoon Block II+ as the next-generation surface-to-surface combat missile for the fleet’s surface ships. Sam LaGrone, for U.S. Naval Institute News, discusses the upcoming joint Russian and Chinese military exercises set be conducted near the South China Sea in September. Joint Sea 2016 follows last years joint exercise – Joint Sea 2015 II – held off of Russia’s Pacific coast in August, where over 20 ships from the two navies conducted joint training that included anti-submarine warfare, live fire drills, air defense training, and a 400 marine amphibious landing. He adds that in addition to last year’s Pacific drills, joint exercises were also conducted in the Mediterranean Sea, while cooperation in the Black Sea region was also apparent with two Chinese frigates visiting the Russian Novorossiysk naval base stationed near Crimea. Harry Kazianis, at The National Interest, discusses China’s imminent response to the South China Sea arbitration ruling in relation to the upcoming G-20 Summit Beijing is set to host on September 4-5 in the city of Hangzhou. He suggests that leading up to the summit Beijing will limit contentious actions in the South China Sea as to not risk any drama at the gathering of world leaders or risk positioning themselves where losing face during the summit’s proceedings is a possibility. He adds that China may be timing their next major South China Sea move for the post-summit months when the soon-to-leave Obama administration will be uninterested in jumping into an Asia-Pacific crisis in addition to the U.S. public being preoccupied with developments in the American election cycle. He notes that if China were to declare a South China Sea Air Defense Identification Zone (ADIZ) or start reclamation work at Scarborough Shoal, the U.S. will be unlikely to have the political unity or willpower to respond effectively to Beijing’s actions. 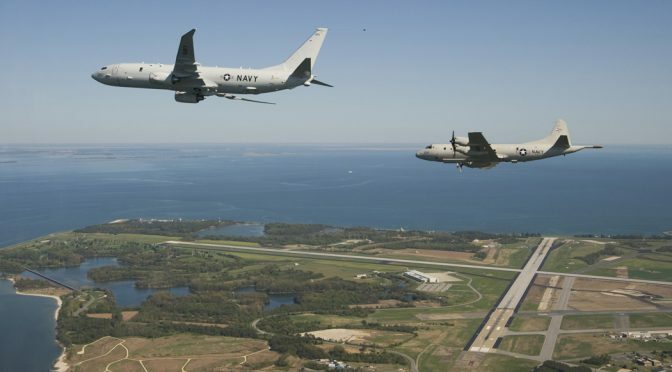 Paul Pryce, for the NATO Association of Canada, provides an analysis on the three aircraft the Canadian government is considering for procurement as the country’s new Fixed-Wing Search and Rescue (FWSAR) aircraft – the C295W from Airbus Defence, the C-27J Spartan from Alenia, and the KC-390 from Embraer. The search for a new SAR aircraft to replace the country’s aging CC-115 Buffalo fleet has been ongoing since a Request for Proposal (RFP) was released by Public Services and Procurement Canada in 2002. He explains that each of the aircraft being considered are similar enough in size and design to the CC-115 Buffalo that it would not be difficult for Royal Canadian aircrews to adapt to operating them and that each plane has significantly greater range and payload capacity than the Buffalos. He adds that these capability improvements will be especially beneficial for search-and-rescue operations in the remote northern regions of Canada. Robert Farley, for The Diplomat, examines India’s pending decision of whether to accept or not to accept Russia’s offer to construct a multirole nuclear aircraft carrier for the country’s Navy. He explains that very few countries have the capacity to build a modern, nuclear aircraft carrier, and that there are few countries willing to export such technology. He also adds that Russia has played a major role in India’s naval aviation program having modernized the INS Vikramaditya, and having supplied the Indian Navy with carrier aircraft. Russian shipbuilders and military planners are likely familiar with Indian Navy carrier needs and specifications. From the opposite perspective, he argues that Russia’s lack of recent nuclear propelled surface vessel construction should deter India from awarding Russia the contract. He adds that if India were to rely on an export option for its next carrier (INS Vishal), it risks losing the shipbuilding expertise and capacity that it has begun to develop with the construction of the carrier INS Vikrant – a capacity that is critical for India’s long-term maritime interests. Sebastian Bruns, at The War on the Rocks, provides an overview of Germany’s 2016 white book on defense, security and the future role of the country’s armed services. He notes that the document reflects a changing strategic mindset in Germany, with the resurgence of Russia and military conflict on European flanks, large amounts of immigration, the EU crises, and the rise of Islamic extremism all factoring into account. Natalie Sambhi participated in the Center for Strategic and International Studies Sixth Annual South China Sea Conference where she was a member of a panel discussion on military modernization and capacity building. Robert Thomas, at CAPX, offers analysis on free trade and the South China Sea, emphasizing the importance of understanding the regional security dynamics that threaten the sea’s trade routes and supporting global markets and economies. Bryan McGrath, at The War on the Rocks, makes public a letter he wrote to a national security colleague who is interested in joining the Trump national security team. In the letter, he strongly advises against jumping in with Trump for several reasons, including the likelihood that his security policies would be disastrous for the United States and would likely strain the reputation of those who surround him throughout his leadership. Mina Pollmann, at The Diplomat, discusses Prime Minister Shinzo Abe’s Liberal Democratic Party victory in Japan’s Upper House elections on July 10. She explains how Abe framed the election as a vote concerning the economy and the incompetence of his party’s rivals during their term in power from 2009 – 2012, as opposed to sensitive issues such as constitutional revision and security issues. ADM James Stavridis joined CNN to discuss why the coup in Turkey failed and what it means for the world moving forward. He explains how the coup will have adverse affects on the strength of the NATO ally, benefit ISIS and worsen the situation in an already turbulent region. Christian Davenport, at The Washington Post, provides an overview of the status update the Air Force released concerning the F-35’s combat readiness. He explains that after 15 years and over $400 billion dollars, years of delays, cost overruns and controversy, the aircraft will be ready for combat deployment. Dave Majumdar, for The National Interest, explains how the Marine Corps will be purchasing the majority of the Department of the Navy’s (DON) planned fleet of 680 Lockheed Martin F-35 Joint Strike Fighters and that the service’s aviation assets will likely be the Navy’s major sea-based power projection force by the 2030s.